Connect to a remote PC as soon as possible! Aeroadmin Pro 4.1 was available as a giveaway on December 6, 2016! 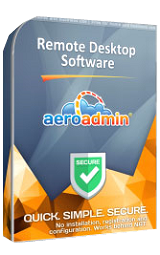 AeroAdmin - an easy remote desktop software! It requires no installation, registration and configuration. Its small in size (~2 Mb) and can be started up in less than a minute. It's perfect for times when you need to connect to a remote PC as soon as possible for either a full on remote control session or a simple file transfer. How would you improve Aeroadmin Pro 4.1? Use this w/my Android tablet to access my laptop. Possibly for the 1st time, GAOTD activation didn't work for me despite typing the email address correctly and putting PROGOTD as body. The send button stays inactive! I keep getting "A required privilege is not held by the client" and I cant get past it to install it. Rick, there is no installation, it's portable. It seems that you don't have Admin rights on your computer. Link received through mail is not working, please correct. Registered smoothly.Not as feature rich as TeamViewer. But does the main job that you would expect from a remote desktop software (Remote access and file transfer) very well! There are many who dislike 1 year licenses. Rob Crombie, it's not a one year license. This program requires installation on both local and remote computers. Pray tell, how is installing AeroAdmin on a remote computer going to happen TOMORROW, after the GOTD offer expired? What is SIMS - I cannot find it! Mark, read the ReadMe.txt file closely. It provides a link to the author's home page that explains graphically how to Pro. you would see where to find it. Mark, if you would open this http://www.aeroadmin.com/en/profreegotd.html you would see where to find it. Is there any advantage this software has over the free Google Remote Desktop? Don, Yes. It's not Google. No luck activating the Pro license. Tried a dozen times, following the readme instructions exactly, but it remains on Free license. No hints? Too bad. 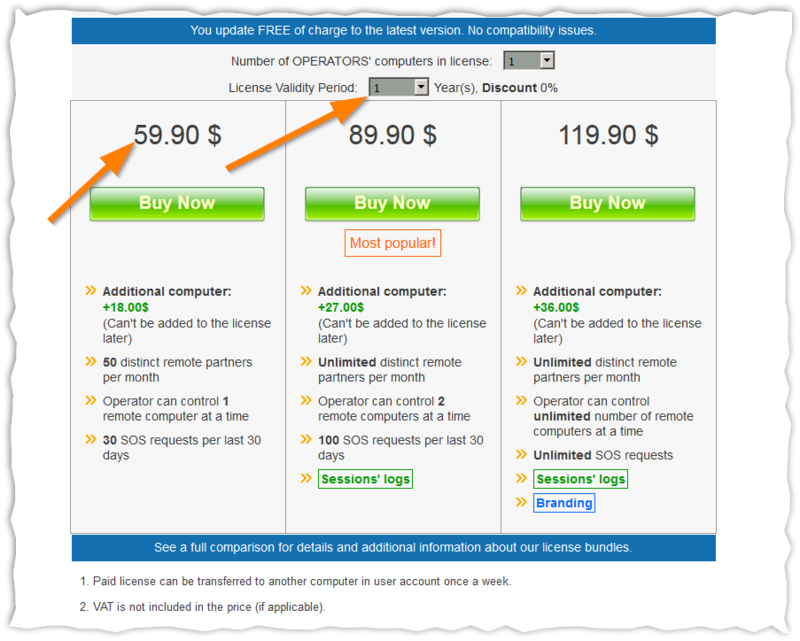 We currently use a $2000 Teamviewer business license, and we're not too happy with the cost of the updates. It would have been interesting to try this alternative, but I guess we won't. Been using Teamviewer for many years and have yet to find a reason not to use it. PhilS, I find it odd that one would bother to comment when it has no relevance to today's giveaway. At the very least give a run down of Teamviewer or why even comment at all? John, Very simple really. It's an indication that an existing, free product already does the same job and does it well, so no reason to try this particular offering. It just works. No specific comparisons required. I entered both fields as required but the Send button is still greyed out. Can't send anything. It seemed like I had to click twice on the send button before it did anything. Then I got a spinning circle for a while. After the spinning circle disappeared there was no further reaction. I restarted the program. Still says Free version. Tried the whole process again. Still nothing changed. When you start the program, it attempts to connect to the server of the developer. If, on the other hand, the connection is made, the developer's server will check whether you have a PRO license. If you do, the server will cause the GUI to display "License: PRO", and you have all the PRO functions. If you do not, "License: FREE" is displayed, and the program does not enable the special PRO functions. If you have a PRO license, but start the program before you have an internet connection, the program will therefore appear and behave like the FREE version. But as soon as you then connect to the internet, you can see the "License: FREE" on the GUI change, as if by magic, to "License: PRO". Number of remote clients (per month) = 50, really? It doesn't matter whether i will need this much remote connections per month, it's still limited! According to the comparison table at http://www.aeroadmin.com/en/license_comparison.html even the PRO version is limited, like Number of remote clients (per month) = 50, really? It doesn't matter whether i will need this much remote connections per month, it's still limited! Previous giveaways of this program have been a limited-time license. No mention of that here. Is it a permanent license? Felix Crevat, it is free, this giveaway should you some pro features, although i have no idea what exactly they are. panda - thanks for warning! But does TeamViewer do the same? glnz, I have not tested the TeamViewer. glnz, I've been using teamviewer for about a year and it works great. 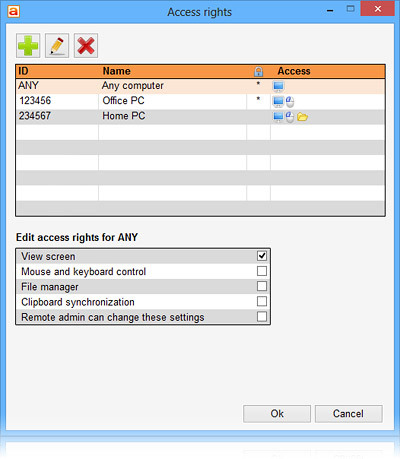 Teamviewer must be installed on any PC you want to connect to. Run the program on your PC and on the PC you wish to connect to. Then call or text that person with the code presented on your screen and they do the same. Done now you control of their PC and they can monitor what you are doing. Actually no, the installer will also let you use it as a portable app, no install required. 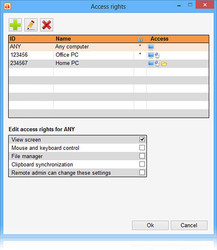 gerrymar, <q cite="Teamviewer must be installed on any PC you want to connect to. "> Actually no, the installer will also let you use it as a portable app, no install required. I ran the software and recorded all of the communication with aeroadmin via noreply@aeroadmin.com and can tell you this: This software registers your IP, all of your connections are sent to home base and they have back door access to your computer. Deleted the software and all of the traces left behind. Good luck to the brave users. I ran the software and recorded all of the communication with aeroadmin via noreply@aeroadmin.com and can tell you this: This software registers your IP, all of your connections are sent to home base and they have back door access to your computer. Deleted the software and all of the traces left behind. Good luck to the brave users. How could you uninstall the software? Could you see the application installed so you could uninstall it? Or how did you go about it? panda, you mean communications via email, noreply@aeroadmin.com? panda, i'm just wondering how can it comunicate with aeroadmin via noreply@aeroadmin.com, noreply@aeroadmin.com is the email address. Ridiculous. "Back door" to your computer?? That's nonsensical exaggeration. How do you think two users can connect to each other not knowing the other's address? Simple: a third party server helps them exchange that info. Standard operating procedure for software of this type. panda, for sure this is not the only software or developer that does this, one of the reasons I haven't tried "TeamViewer". I have downloaded it, but never installed it; always that nagging question as to whether it's safe. And I just don't have the time to check it out. George, Re your "I cannot find any trace that Ihave installed the software." George, There is a nifty little program, by Nirsoft, titled "MyUninstaller": "http://www.nirsoft.net/utils/myuninst.html". I so very rarely use it to uninstall anything, as to be never, but what I like about it is that it records a wealth of information about every program you install. All Nirsoft programs are "FREE". The program I use to uninstall ninety plus percent of the programs installed on my computer is "Revo Uninstaller Pro": http://www.revouninstaller.com, by "VS Revo Group", usually around forty bucks, but if you subscribe to their newsletter they will eventually send you an offer for a substantial discount and usually sooner rather than later. What I like about "Revo" other than the fact it is a first class uninstaller is that I can install all my programs with "Revo"; it records everything that is placed on your system during install, including registry entries and if you should decide to uninstall just click on the "Traced" tab and click "Uninstall". After "Revo" does the initial uninstall it will look for entries placed on your system after install; it does a rather nice job of this. I use "Revo" and "MyUninstaller" in tandem for every uninstall I do. There is a "FREE" version of "Revo" which does and outstanding job of the uninstall process, but you can't install programs with the free version. I don't suggest spending the big bucks, up front, for "Revo Pro", you can find it at reduced prices and sometimes for "FREE" if you look around. In the meantime there is a "FREE" program titled "ZSoft Uninstaller": "http://www.zsoft.dk/index/software_details/4", that isn't anywhere as fast as "Revo Pro", but does record the entire install process. Of course you should be able to find all of these programs at your favorite download site, mine being "Softpedia", for many reasons. Maybe someone else knows of other programs better than the ones I mentioned here. George, There is a nifty little program, by Nirsoft, titled "MyUninstaller": "http://www.nirsoft.net/utils/myuninst.html". I so very rarely use it to uninstall anything, as to be never, but what I like about it is that it records a wealth of information about every program you install. All Nirsoft programs are "FREE". The program I use to uninstall ninety plus percent of the programs installed on my computer is "Revo Uninstaller Pro": http://www.revouninstaller.com, by "VS Revo Group", usually around forty bucks, but if you subscribe to their newsletter they will eventually send you an offer for a substantial discount and usually sooner rather than later. What I like about "Revo" other than the fact it is a first class uninstaller is that I can install all my programs with "Revo"; it records everything that is placed on your system during install, including registry entries and if you should decide to uninstall just click on the "Traced" tab and click "Uninstall". After "Revo" does the initial uninstall it will look for entries placed on your system after install; it does a rather nice job of this. I use "Revo" and "MyUninstaller" in tandem for every uninstall I do. There is a "FREE" version of "Revo" which does and outstanding job of the uninstall process, but you can't install programs with the free version. I don't suggest spending the big bucks, up front, for "Revo Pro", you can find it at reduced prices and sometimes for "FREE" if you look around. In the meantime there is a "FREE" program titled "ZSoft Uninstaller": "http://www.zsoft.dk/index/software_details/4", that isn't anywhere as fast as "Revo Pro", but does record the entire install process. Of course you should be able to find all of these programs at your favorite download site, mine being "Softpedia", for many reasons. Maybe someone else knows of other programs better than the ones I mentioned here. krypteller, all of those files and registry entries look safe to me. I believe the files are for your license and the registry entries are things like where on the screen you last had the window. I wonder if there are any other clues to determine what panda was referring to when he posted the original warning. ew, You have lot to learn my friend, the e-mail address is the data gathering place. It is hard wired in all of their software and is constantly sending data in the background without our knowledge. The format as e-mail is just to make you think there is nothing wrong. Ray Eason, Panda is correct, I confirmed the findings. The entries in the registry are read only, proprietary and encrypted. Dave, And that third party is recording all of your activities, is that is what you want from a software? Also, they can log into any client who uses their software without your permission or ever you will know about it. Dave, And that third party is recording all of your activities, is that is what you want from a software? Also, they can log into any client who uses their software without your permission or ever you will know about it. Dave, Simple, they just keep copy of your unique ID on their server and can access your computer any time without you knowing about. Once launched for the first time AeroAdmin scans local computer hardware characteristics and generates ID based on them. ID remains bound to this computer. In combination with password such approach significantly improves security. " As you can see they do not tell you that they have the unique ID for your computer in their possession too. Dave, Simple, they just keep copy of your unique ID on their server and can access your computer any time without you knowing about. This is what is written on their web site: " password and ID is based on hardware configuration Once launched for the first time AeroAdmin scans local computer hardware characteristics and generates ID based on them. ID remains bound to this computer. In combination with password such approach significantly improves security. " As you can see they do not tell you that they have the unique ID for your computer in their possession too.
" Standard operating procedure for software of this type." as you said. I have remote control software that does not involve third party server and only the 2 computers are connected with encryption. Search around to find what " Standard operating procedure for software of this type." looks like without intermediate people reading your connections. Dave, I forgot to tell you that this is not: " Standard operating procedure for software of this type." as you said. I have remote control software that does not involve third party server and only the 2 computers are connected with encryption. Search around to find what " Standard operating procedure for software of this type." looks like without intermediate people reading your connections. I have, opn one occasion called Yahoo support, using anumber posted on their forum and I ended up with a chap in India offering to assist me by connecting into my computer using Teamviewer. Nothing like you said about "via noreply@aeroadmin.com"
panda, DNS Query(play.google.com) DNS Query(wide-play.l.google.com) DNS Query(sway-cdn.com) DNS Query(auth10.aeroadmin.com) IN,TCP - HTTPS,37.48.115.46:443,192.168.1.3,\Device\ImDisk0\AeroadminPro41-rt39dk\AeroAdmin.exe OUT,TCP - HTTPS,192.168.1.3,37.48.115.46:443,\Device\ImDisk0\AeroadminPro41-rt39dk\AeroAdmin.exe DNS Query(v10.vortex-win.data.microsoft.com) DNS Query(raw.githubusercontent.com) DNS Query(github.map.fastly.net) DNS Query(wpad.Home) Nothing like you said about "via noreply@aeroadmin.com"
ew, all of the communication goes to their servers and then it is forwarded to the remote computer. You need special tracing software to recreate what panda did. matt, what special software? Tell me. As far as i'm aware from home computer it's not possible to track software trafic that goes to server and from server to a remote computer. You need to somehow be connected to server to track that. matt, what special software? Tell me. As far as i'm aware from home computer it's not possible to track software trafic that goes to server and from server to a remote computer. You need to somehow be connected to server to track that. STILL showing "Free" version no matter how I try, AV off , reboot etc. Win 10: After many failed attempts, I tried the reboot of my computer and it worked. I don't see a mobile client in the app store, which is pretty much standard for the genre, such as Teamviewer, Splashtop or even straight up VNC. I push on sisms and wrote in the info to get the paid version and restart it, but it still after say it are free, so how long time it take to be pro? And what are the diffrence between free and paid, what can you do with paid as you not can with the free version? Mine went pro almost instantly. ComputerMan, Mine went pro almost instantly. Did you follow all of the steps: 1. Open SiMS window as stated in the picture; http://www.aeroadmin.com/en/profreegotd.html 2. Type in: 1) Email field: noreply@aeroadmin.com 2) Message body: PROGOTD 3) Click send button 4) Restart AeroAdmin Give it another try! For those trying this, how does it compare to TeamViewer? Does this work for remote access from outside the NAT? glnz, Key Features: Works without installation and configuration; ********>>>>>>>Connects computers behind NAT; **************<<<<<<<<<<< Branding + access rights preconfiguration; Built-in ticket sending system for helpdesk; Small in size, portable; Secure File Transfer; Unattended access; Remote user logoff, reboot (including in safe mode); Total AES + RSA encryption; 3-factor authentication; Unlimited concurrent sessions. Joe - This offering sounds pretty good, but I too find the TeamViewer (Free version), pretty hard to beat. Been using that for personal use to help family, friends and neighbors for several years, as well as for accessing my own computer remotely from an iPad Mini. It's secure and very versatile, with numerous settings available. They update it regularly, which is the mark of well-maintained software. Since I have no need to use it for commercial purposes, that limitation isn't relevant in my case. Installed successfully with some hand-holding in Win10 x64 Anniversary Edition. 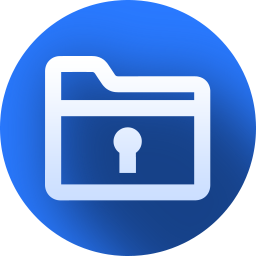 You MUST unzip the file, and you MUST run it as Administrator, and you MUST follow the registration instructions in the README file exactly as they are provided. It does NOT appear to install like a "normal" program, so I had to add an AeroAdmin folder in the 'C:\Program Files (x86)' folder manually and copy the unzipped files there. Have not yet tried its functionality. Not tried "connecting" as yet. Problem I have is, even after "Activation" it still appears as "Free" edition"
Connections with Windows 10 works fine. We bought the "Business" license, but i've been able to do that with a previous giveaway ("Pro" edition) and i'm pretty sure it works with "free" edition as well. I suggest both of you try closing and re opening the program, if that doesn't work, try re booting. Also, the usual caveat, allow via your Firewall and Anti virus programs, or disable them until installed, although I use different Anti virus programs on my Windows 10 and Windows 7 systems and didn't have problems from any. john, I suggest both of you try closing and re opening the program, if that doesn't work, try re booting. Also, the usual caveat, allow via your Firewall and Anti virus programs, or disable them until installed, although I use different Anti virus programs on my Windows 10 and Windows 7 systems and didn't have problems from any. After manip for activation, it's always mentionned " FREE "; Is it normal ? Razibus, it's normal if you haven't restarted it after activation manip. The executable extracted from the ZIP file of this offer has the same build number, build date, and MD5 count as that of the free version which may be downloaded directly from the developer's website. The program looks interesting; good thing that it is portable. I almost didn't install because of this comment. However, after following the instructions in the "Readme File" the program registers as the PRO version and therefore, I would presume, has a different MD5 count. Quite a fun program, although my Desktop, Laptop and Netbook are all networked, with this program I can work on one of the devices from another. I know there are other programs that can achieve the same results, but this one was on offer and sparked my curiosity. Also, my systems are a mixture of Windows 7 and Windows 10and it works on all. Worth downloading. William W. Geertsema, I almost didn't install because of this comment. However, after following the instructions in the "Readme File" the program registers as the PRO version and therefore, I would presume, has a different MD5 count. Quite a fun program, although my Desktop, Laptop and Netbook are all networked, with this program I can work on one of the devices from another. I know there are other programs that can achieve the same results, but this one was on offer and sparked my curiosity. Also, my systems are a mixture of Windows 7 and Windows 10and it works on all. Worth downloading. MikeR, So which do we have on GOTD... Free, Pro, Business or Corporate? MikeR, Re "Windows 10 users might also wish to note that no mention of compatibility with that OS appears on the website." I am writing this on the keyboard of a W10 cloudbook, coupled to a W10 desktop. Everything seems fine. MikeR, Re "Windows 10 users might also wish to note that no mention of compatibility with that OS appears on the website." I am writing this on the keyboard of a W10 cloudbook, coupled to a W10 desktop. Everything seems fine. I'm little confused- why there is a note in Readme.txt: "3) Strictly non-commercial usage"
Even lower=free version of Aeroadmin is "Free for home use and commercial use".. I'm little confused- why there is a note in Readme.txt: "3) Strictly non-commercial usage" Even lower=free version of Aeroadmin is "Free for home use and commercial use"..
1. Download now shows, 404 error, page not found. 2. Its website and software looks same like AMMYY ADMIN. And don't know but GOOGLE CHROME and My antivirus software do not allow to visit AMMYY ADMIN website ammyy.com or download anything from it. 3. Even icon of AERO ADMIN looks same like AMMYY ADMIN....I checked icon my download software from AERO ADMIN website. Smith, sounds like your browser may not be compatible with the new site coding, try a different web browser! Windows has its own remote desktop, and Team Viewer is free. 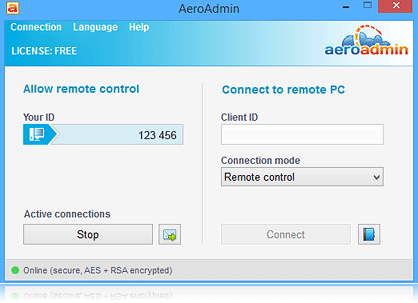 Aero Admin looks and feels just like Team Viewer, just don't see what's the point since AeroAdmin site says "AeroAdmin - FREE and EASY remote desktop software! Set up remote desktop connection within a few seconds!". Then under "Aeroadmin advantages" --- "Free for home use and commercial use." So it's free, even for commectial use?! Windows has its own remote desktop, and Team Viewer is free. 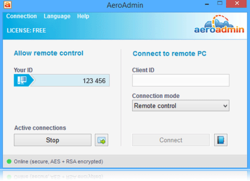 Aero Admin looks and feels just like Team Viewer, just don't see what's the point since AeroAdmin site says "AeroAdmin - FREE and EASY remote desktop software! Set up remote desktop connection within a few seconds!". Then under "Aeroadmin advantages" --- "Free for home use and commercial use." So it's free, even for commectial use?! TeamViewer is not free for commercial use. David, yes, but i don't need commercial usage. For the people always asking for the Software to be made Portable,apparently this one IS Portable.